For more than 20 years, the Seguine Equestrian Center has offered riding lessons for kids and adults, as well as boarding for horses, on the grounds of the historic mansion. The Equestrian Center has been directed by Christine Carrieri, also the senior riding instructor, for more than 15 years. Christine has worked for renowned equestrians such as George Morris, an Olympic medalist and Chef de Coup of the U.S. Olympic Team; Chris Kappler, double Olympic medalist; and Anne Kursinski, four-time Olympian and medalist. Christine uses her extensive knowledge, experience and passion for horses to create a riding facility where instructors nurture the art of horsemanship and take pride in developing future equestrian stars. Inquiries regarding lessons or the equestrian center should be made to Christine at 718-317-1121. 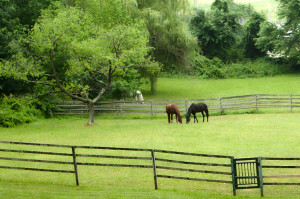 Article about the Seguine Equestrian Center, in The Staten Island Advance.